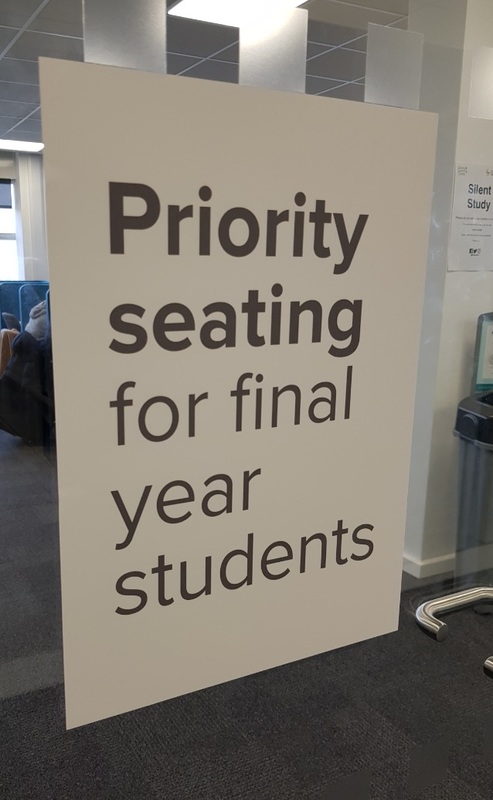 Did you know we have priority seating for final year students up on Level 5? In response to your feedback, we’ve transformed our silent study room on this floor for final years to use during the exam period (7-25 January). Don’t know where this is? Just speak to a student ambassador or a member of Library staff, who will be more than happy to help.